My dental appointment started as a near disaster this afternoon. Robbie hit panic as soon as the dental hygienist put on her mask. He sat in his stroller and screamed until his face turned red. There was a parade of hygienists in the room, trying to make Robbie feel better. This only made him cry harder. Eventually, for the sanity of everyone in the office, I pulled Robbie out of his stroller and sat him on my lap. 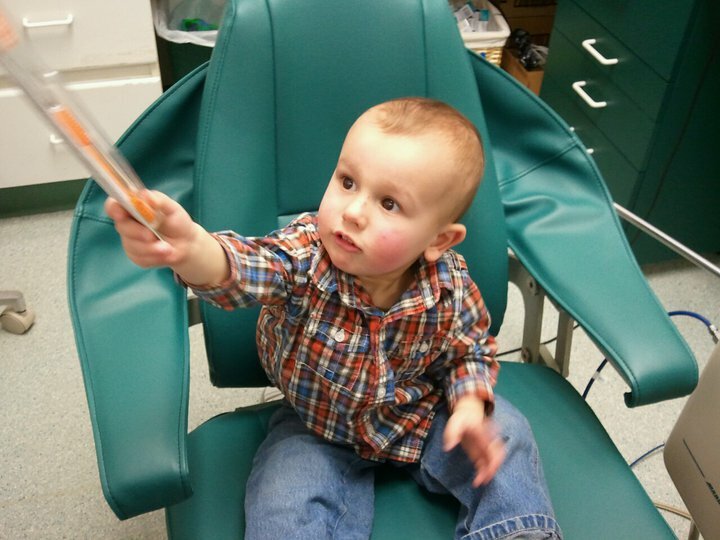 Pam, my hygienist, gave him a tooth brush, a dentist mask, and a blue glove. He was in heaven. Robbie brushed his teeth and carefully studied as Pam cleaned my gums. Not a pleasant process for those of you fortunate enough to not need it. After my cleaning was over, Pam gave me a rinse to help my gums. She also handed one over for Robbie (don’t worry; it was just water for him!). And there we sat, both of us swishing. Only I spit, and Robbie chugged. 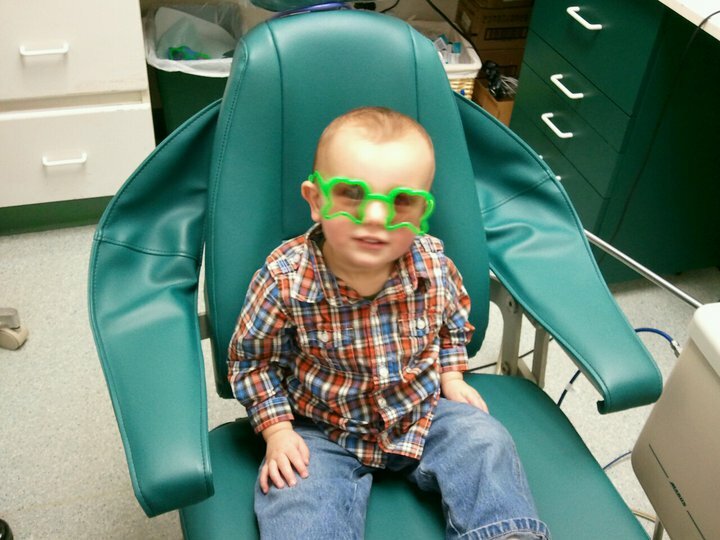 Before we left, Robbie took a seat in the dentist chair, sporting some stylish shades. He was sent home with a care package of toothbrushes, floss, sunglasses, and a sticker. A pretty decent haul for his first trip!